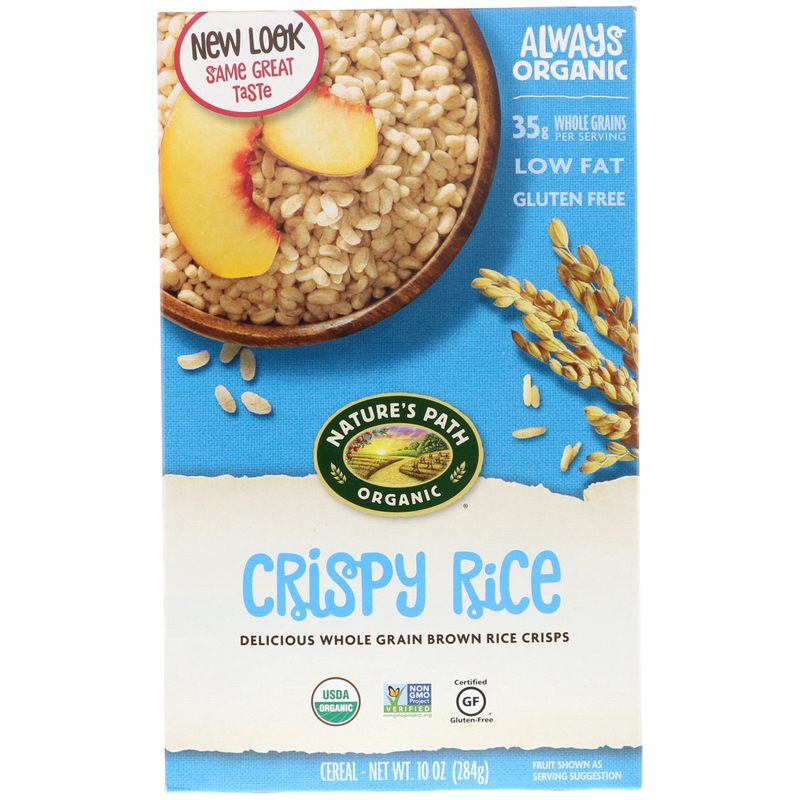 Our Crispy Rice was carefully created with just a few simple ingredients, like organic brown rice flour and cane sugar for crisp and delicious cereal you can't help but love. And with such a straightforward, wholesome recipe - you'll see how good organic food can be. "Our always organic promise goes back to the family farm I was raised on - well before the organic 'industry' began. In 1985, my wife Ratana and I founded Nature's Path Organic Foods based on my dad's advice to always leave the soil better than you found it,' by farming without chemical pesticides, fertilizers or GMOs. For over 30 years, our family has aspired to make delicious organic foods and an enduring independent company that you can love and trust". 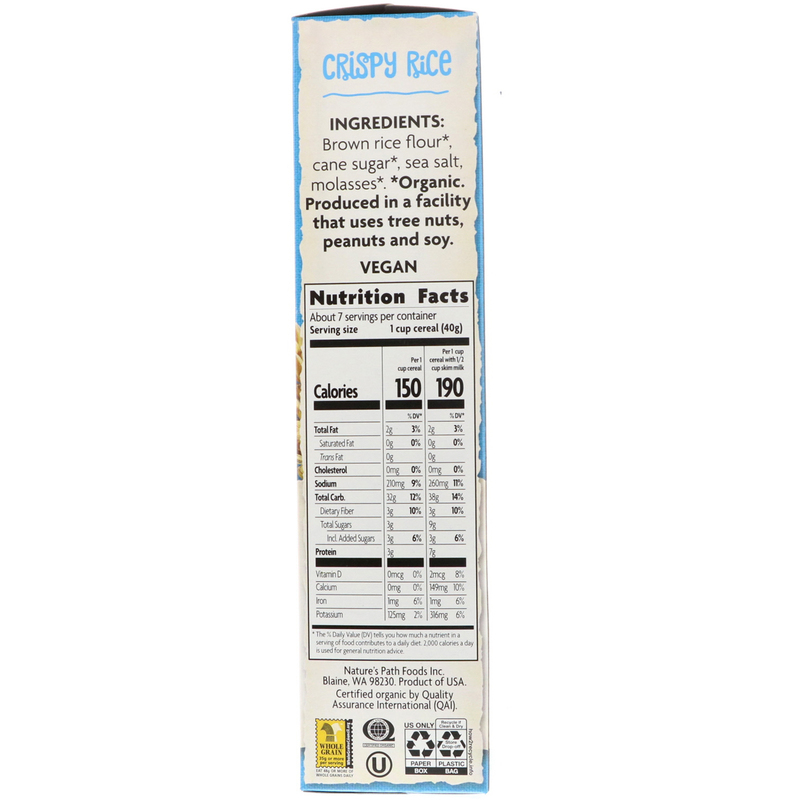 Brown rice flour*, cane sugar*, sea salt, molasses*. Produced in a facility that uses peanuts, tree nuts & soy.